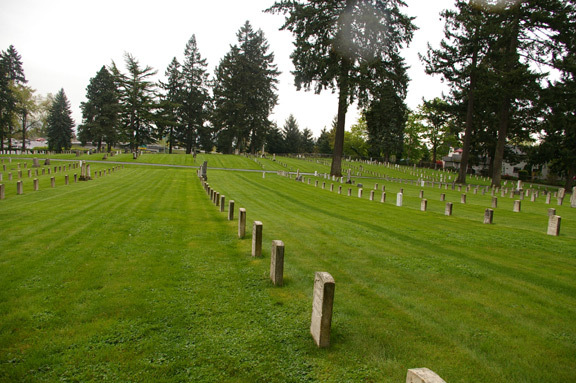 The Post Cemetery is the last resting place of many of the people who lived and served at the Vancouver Barracks. No matter what someone’s rank or social station, death finds us all. This includes a spectrum ranging from prisoners of war to Medal of Honor recipients; from the “unknowns” to larger than life characters; from soldiers to their families, and everyone in between. Take a walk through the cemetery and meet some of its more notable residents. Click the bottom right thumbnail to see a short video of the Post Cemetery and the personalities at rest in it.